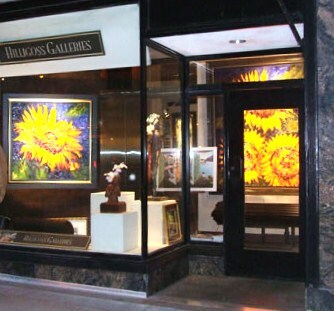 I recently visited Hilligoss Galleries located in Chicago IL. They have two different locations, one in Long Grove and the other one is over on Michigan Ave. I went to the gallery on Michigan Ave. I honestly have to say that this is by far the best gallery that I have been to. They have a large collection of paintings, sculptures, and jewelry. They mainly focus on paintings. The gallery currently has paintings by local artists and international artists; this includes Michael Gerry, Rasa Kluonius, Martin Eichinger, Nikolai Blokhin, and many more. 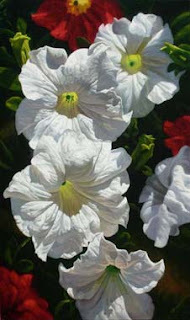 As soon as the elevator opened to the gallery I was captured by this large image of what looked like a photograph of petunias. When I looked closer I notices the brush strokes and the image turned out be a realistic painting. I was amazed by how Michael Gerry captured the exact essence of the flowers. 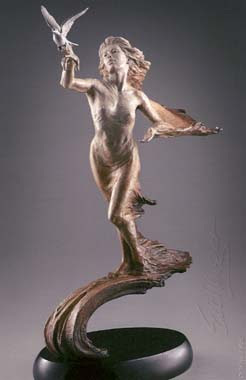 This sculpture by Martin Eichinger reminds me of my painting called "Freedom". There are a lot of paintings in the gallery that captured my eye, but this one is my favorite. 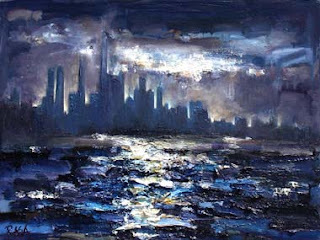 It is called Before the Storm and it is painted by Rasa. 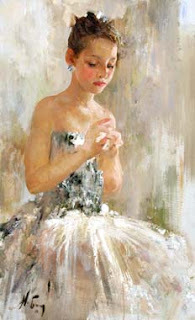 She is a well known artist She is best known for her brilliant colorful and thick textured paintings. With the combination of abstract and realism she produces amazing works such as this colorful cityscape and her famous sunflower paintings. According to ewaandarts blog interview with the gallery owner Tom Hilligoss, Rasa has been the galleries miracle for two to three years. She sells many of her sun flower paintings. People particularly purchase “Kissing Sunflowers” which is their best seller. An 11-by-14 inch painting sells for $1,950 and 30-by-40 inches for $6,500. 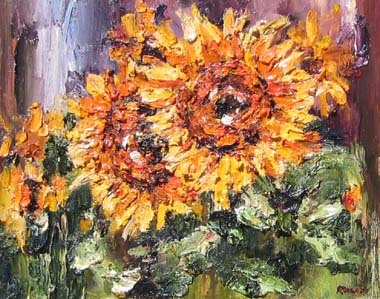 The texture catches the light and exaggerates it similar to Van Gogh's paintings. Another artist that caught my eye is Russian artist Nikolai Blokhin. Similar to Rasa he also mixes abstract with realism and the outcome is incredible. 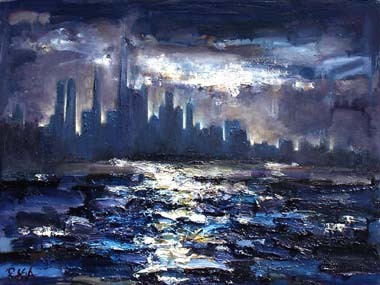 His work has been in the gallery for over ten years and is extremely successful. The gallery has sold $3 million and had his sales up to $1 million per year for 2007 and 2008. Before I visited the gallery.someone told me about Nikolai's work and how his work was some what similar to my recent work. I was very curious to see if he was right, so I searched his work online and I was immediately drawn to it. 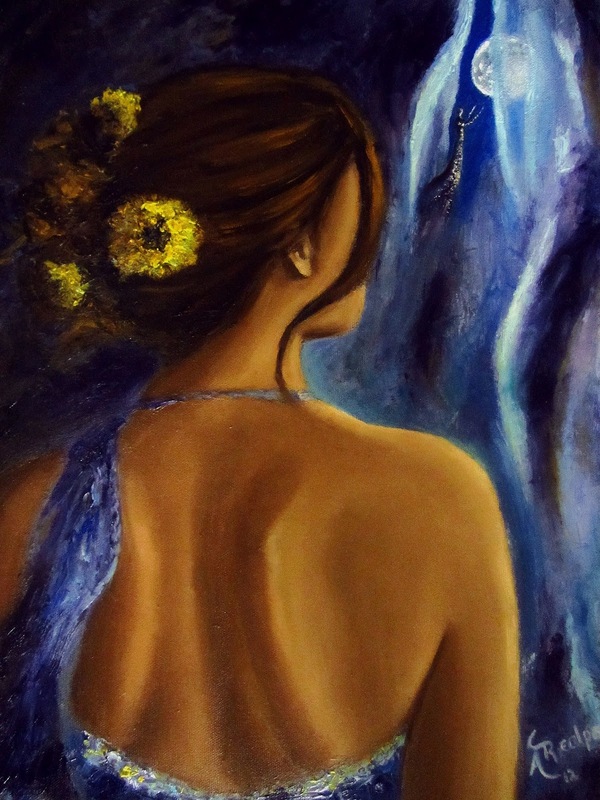 I did notice that he liked to paint females with abstract backgrounds similar to me, but I thought his work was at a greater level. After viewing his work online I wanted the chance to see it in person and so that is the main reason that drew me to the gallery. His work is amazing through photos from the internet, but it is nothing compared to seeing it in person. It is a completely different experience. You can see the texture and his usage of color so much better. He will be having an opening for his work at this gallery on Friday June 15th from 5-9pm. All you have to do is RSVP at 312-755-0300. Below are close ups of Dreamer II. I implemented some of the techniques that I learned into my own painting. I tried the impasto technique that Rasa uses on the flowers and also on the girls dress. I hope you enjoyed my photos and my experience at the Hilligoss Galleries. For more informaation on the gallery, you can visit www.hilligossgalleries.com. Or if you want to check it out yourself here is the address 520 N. Michigan Ave., Chicago, Ill., 60611.